TAKE ACTION: Tell Sakineh You Stand with Her on International Women’s Day! International Women’s Day is the day to celebrate the women all over the world who have never once stopped fighting for freedom and equality. It is also a day to stand up against patriarchal regimes that legislate women’s second-class citizenship through mechanisms such as imposing mandatory hijab, requiring that women obtain their guardian’s consent to travel or inherit, and punishing women for their sexuality by sentencing them to be stoned to death, among many others. Sakineh Ashtiani, sentenced to a stoning execution based on a charge of adultery, is still alive thanks to the active protest of honorable people around the world who declared that adultery is not a crime, that execution is barbaric, and that Sakineh must live. Although Sakineh is still alive, she is languishing in prison, and in need of support. She, like all women in Iran, has had her right to equality and freedom denied, simply because she is a woman. 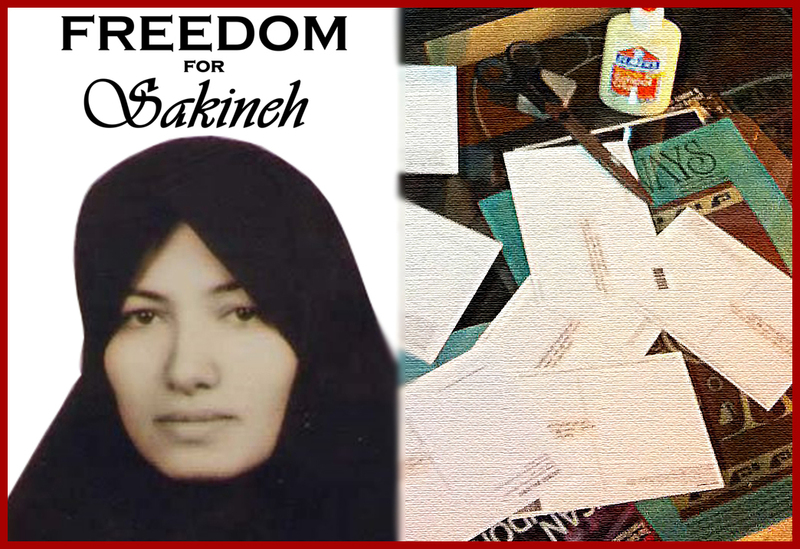 Join us in raising the demand for women’s equality and freedom on International Women’s Day by participating in a week-long postcard-writing action to support Sakineh Ashtiani. 1) Print out Sakineh’s name and address at Tabriz Prison (in Farsi), and the message of support to Sakineh (also in Farsi; it says “Dear Sakineh! I congratulate you on International Women’s Day. I hope you will soon be free.”). See below for the address and message. 2) Cut out the address and message, and paste them on the appropriate postcard panels. 3) Sign your name under the message of support to Sakineh. 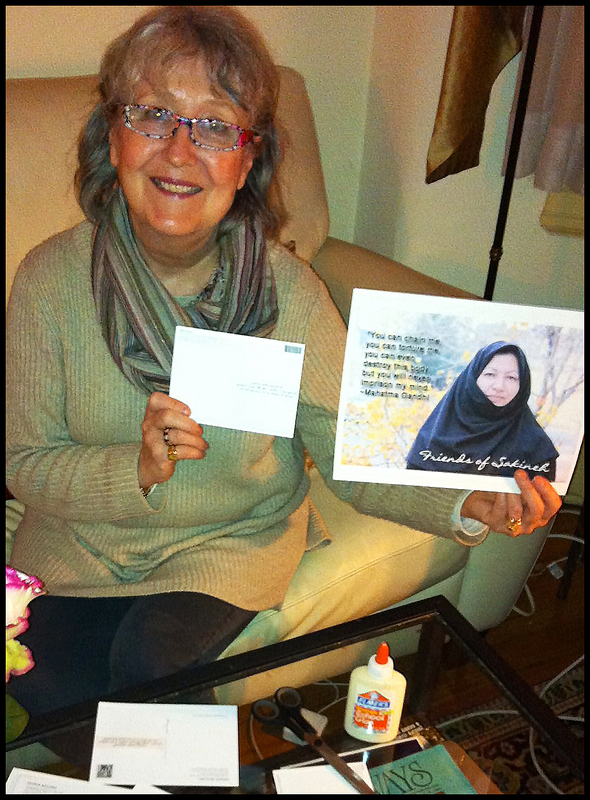 4) Take your postcard to the post office and send to Iran. If at all possible, please take a photo of the postcard you are sending to Sakineh and send it to missionfreeiran@gmail.com or post it on Mission Free Iran’s facebook page; we will publish the pictures of your postcards here on the site. از صمیم قالب روز جهانی‌ زن، ۸ مارس را بتو تبریک می‌‌گویم.